This is a staple in our house. 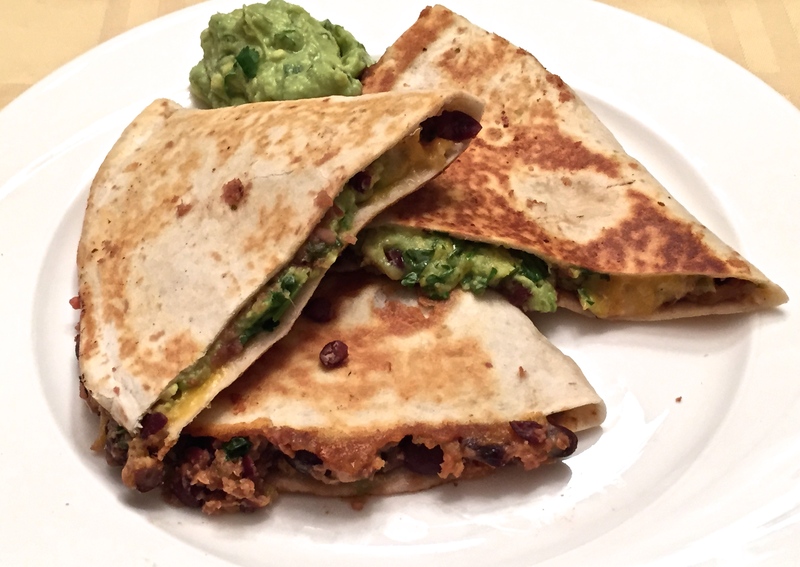 There’s more to quesadillas than just cheese. 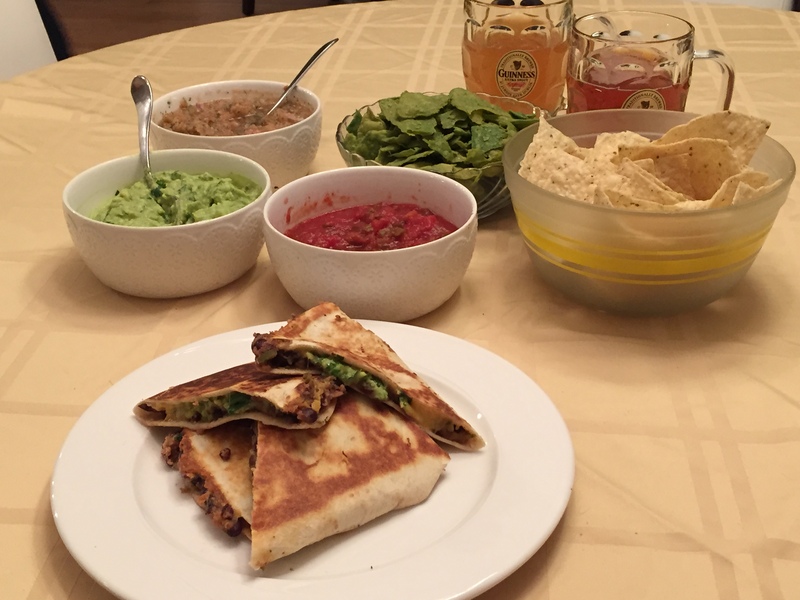 Try this recipe and your tastebuds will thank you. Heat oil over medium heat. 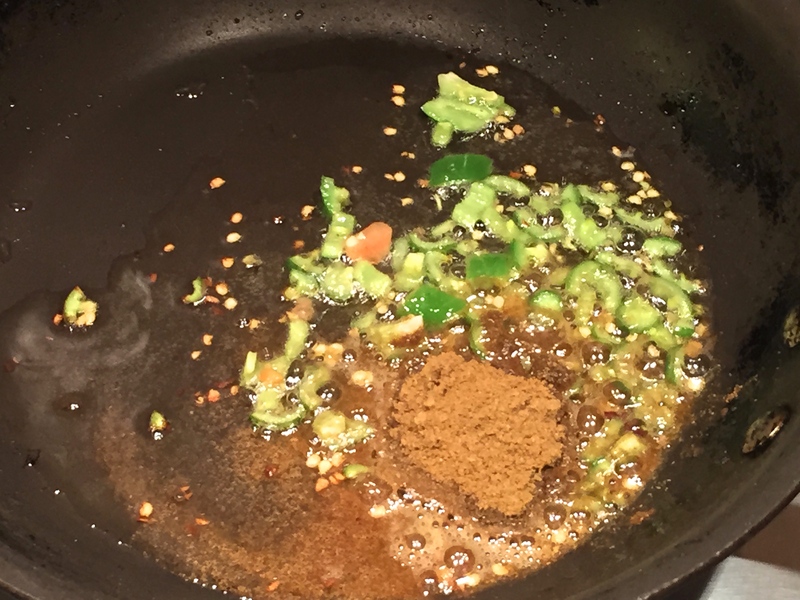 Add the jalapeños and cumin powder. Fry for 30 seconds. 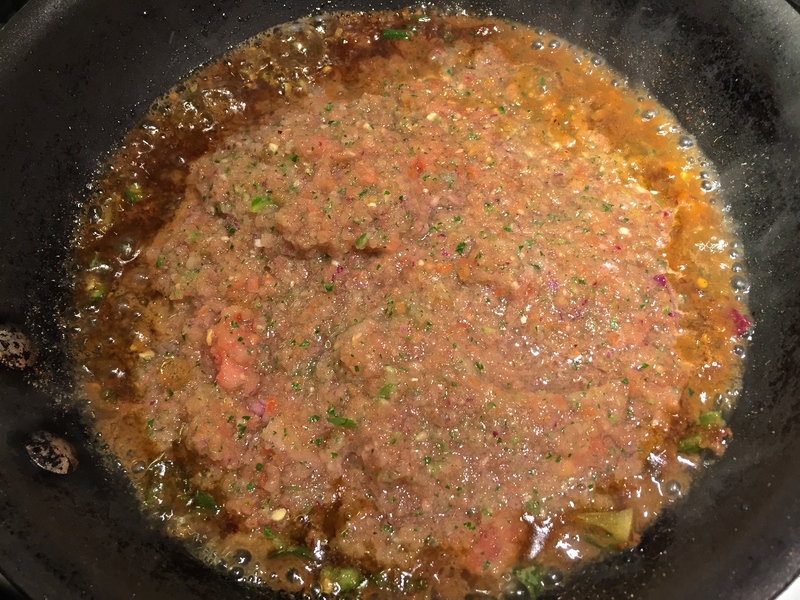 Add a cup of the sofrito mixture. Mix well and let cook over medium heat for 3-4 minutes. 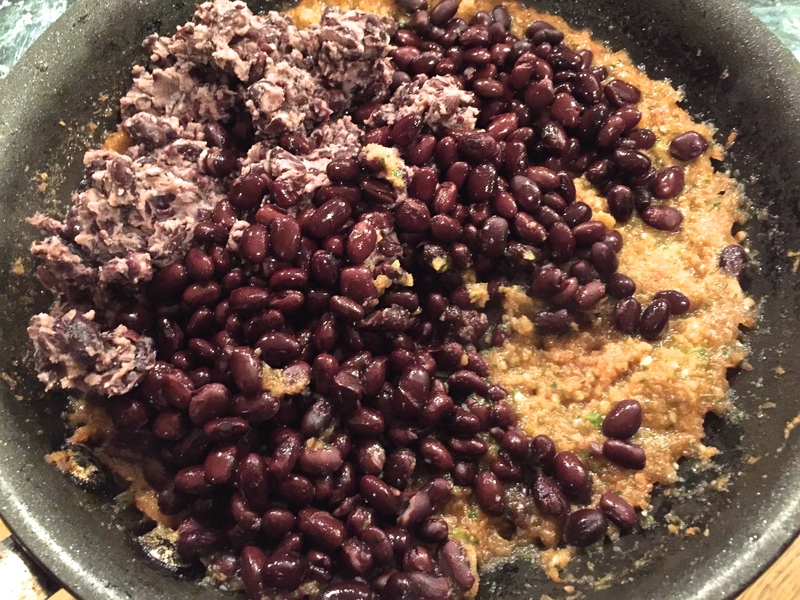 Take half the black beans and mash with a back of spoon into a rough paste. 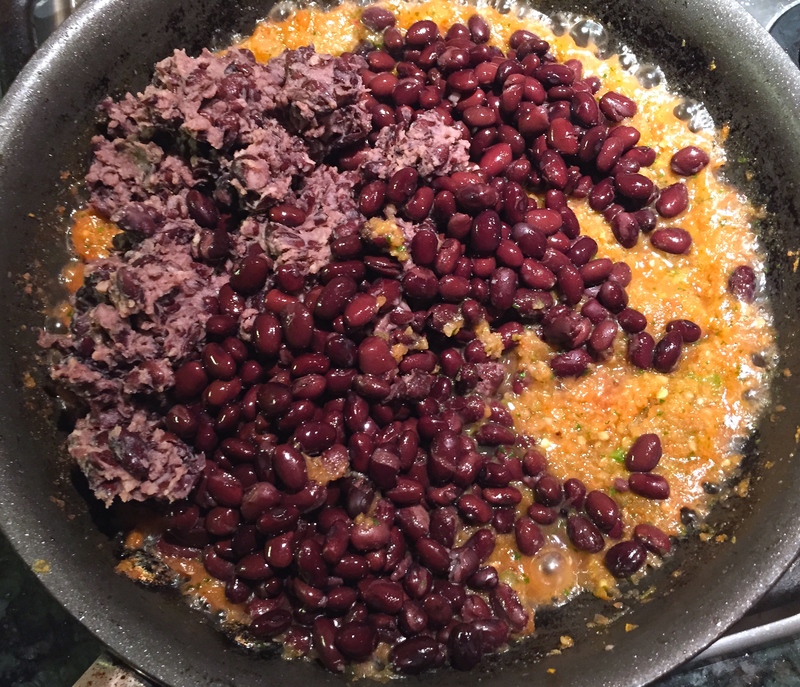 Add the mashed beans and the whole beans to the pan. Add 1/2 tsp salt, and cook together for another 5-7 minutes. 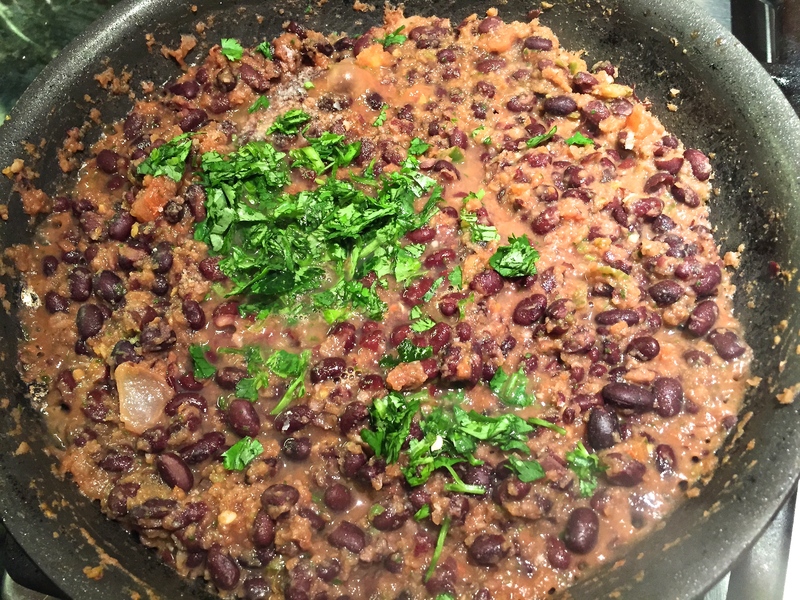 Fold in the chopped cilantro, turn of heat and let this mixture cool slightly. 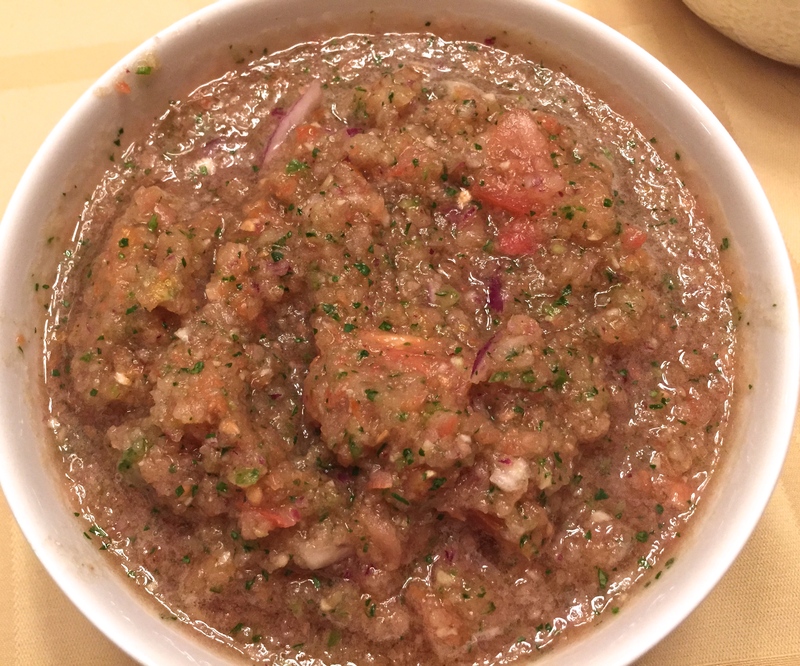 Get a cup of the sofrito and guacamole ready. Butter a non stick pan over low heat. 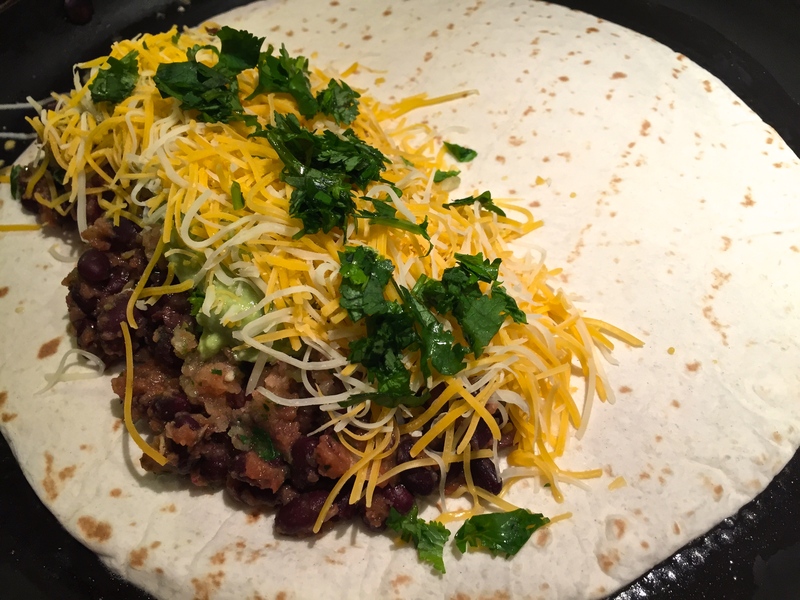 Place a flour tortilla and start layering the fillings all in one half of the tortilla. 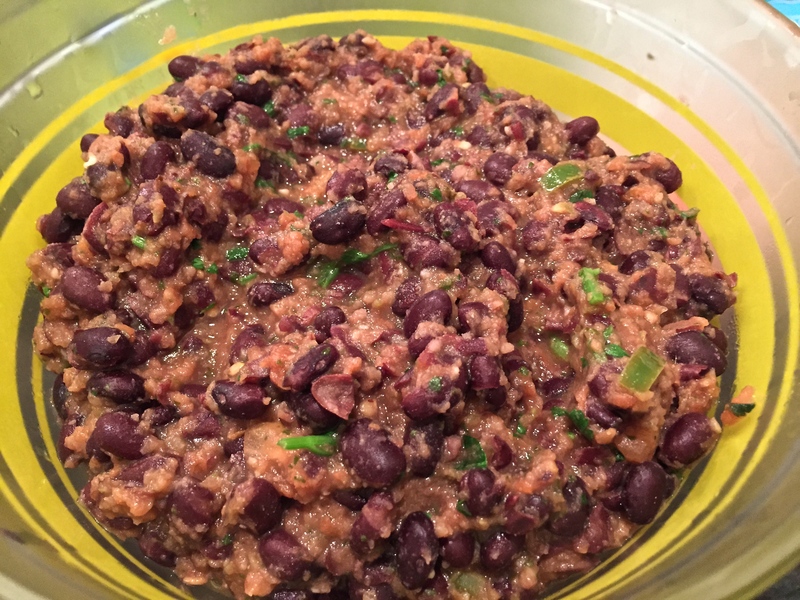 Place a generous spoonful of blank bean mixture, followed by a spoon of sofrito and guacamole. Top with shredded cheese and sprinkle cilantro over. 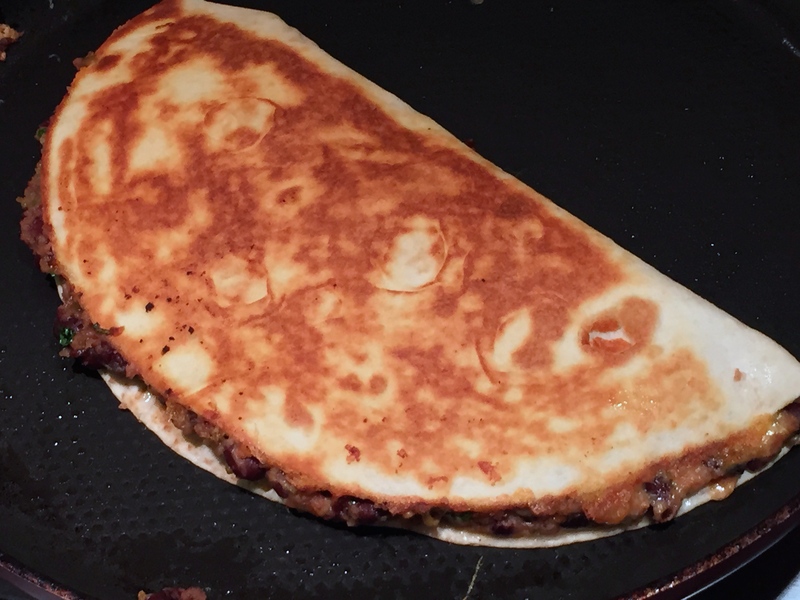 Fold the tortilla over press gently with the back of your spoon. Let this side crisp for about 2 minutes. Turn over and let the other side crisp, another 3-4 minutes. The cheese should be melty and both sides should be golden brown. Serve with more guacamole and/or sour cream.